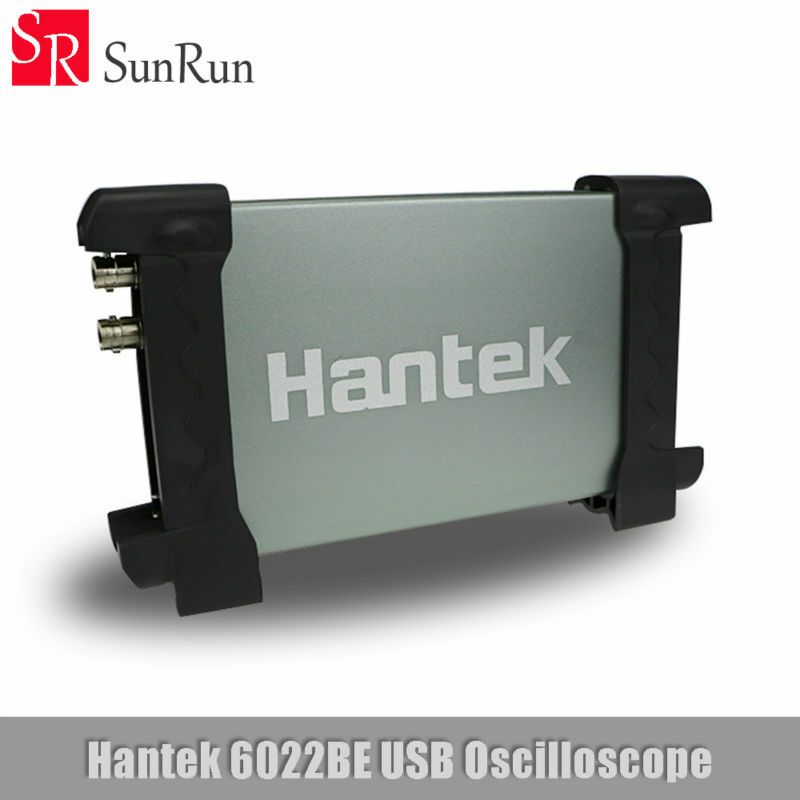 –Modern designed USB/PC Oscilloscope of 100% brand new Hantek 6000 series. –Standard USBXITM interface, easyly inserts into USBXITM housing to make up a combination instrument. –USB2.0 interface, no external power source required, easy to use. –Be suitable for notebook computer, product line maintenance,be used easily on business. –Dimensions (mm):205(L) x120(W) x35(H), be carried easily. 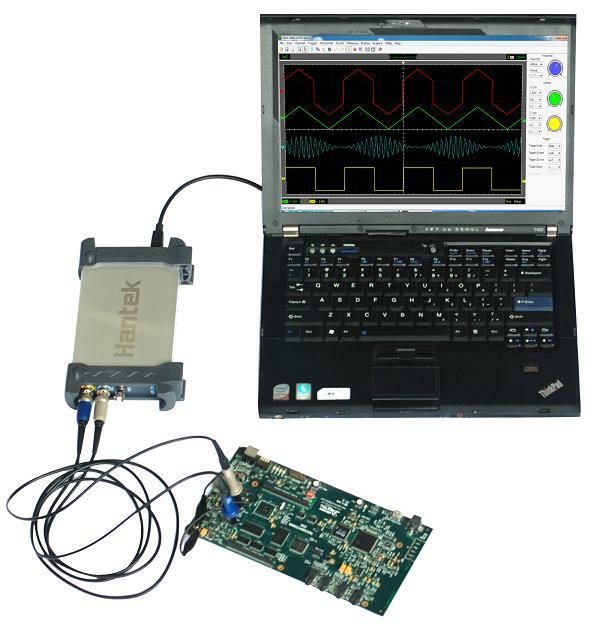 –High performance, 48MS/s real-time sampling, 20MHz Bandwidth. –Operating System: Windows 7, Windows NT, Windows 2000, Windows XP,VISTA. –23 measurement functions, PASS/FAIL Check, be suitable for technical application. –Waveform average, persistence, intensity,invert,addition, subtraction, multiplication, division,X-Y plot. –Save waveform in the following: text file, jpg/bmp graphic file, MS excel/word file. –One computer can connect many DSO, extend channel easily.